Today was very busy and loads of things was going off from carving pumpkin's, pumpkin soups, bird feeders, facepaint, pumpkin games and activities and other things too. lard and wild bird seed. Many of the summer crops are coming to an end, but Gary Swain spotted the last remaining bunches of grapes in the polytunnel. 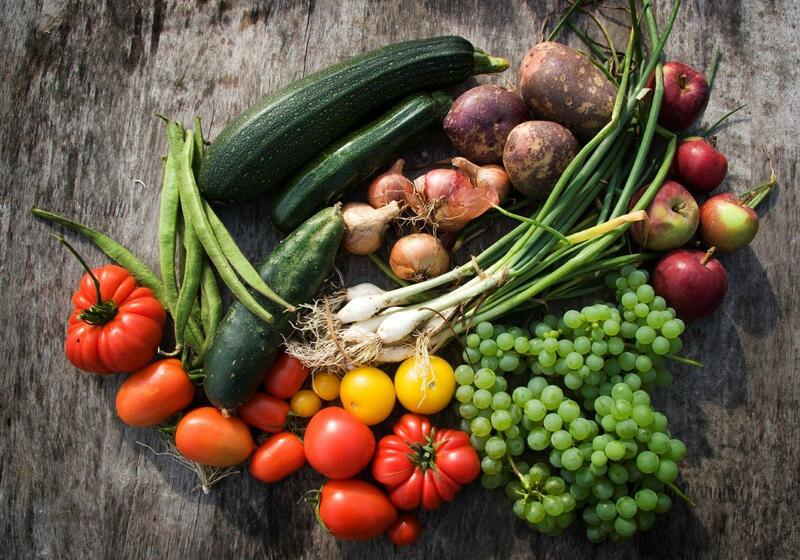 This photo of today's bounty was taken by Chris Davis. 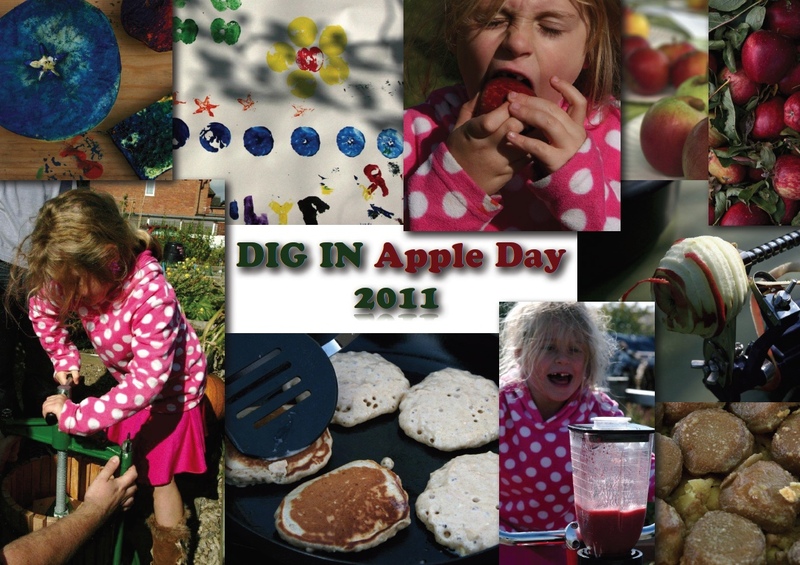 The Dig In Apple Day event was held on September 24th. The weather was perfect, and the volunteers worked very hard to ensure the event was a great success. Everyone I spoke too said they had a wonderful time, enjoying apple related food and refreshments as well as the various activities. We had over 100 visitors, and very positive feedback was received. Over £90 was raised on the day through a raffle and donations, which will be put to good use for repairs, gardening equipment and other items needed for the project. Chris Davis, a Dig In volunteer with a keen interest in photography was our official photographer for the event, and has provided some fantastic images which I have put together as a montage to give a flavour of the event. Please click here for pdf version.